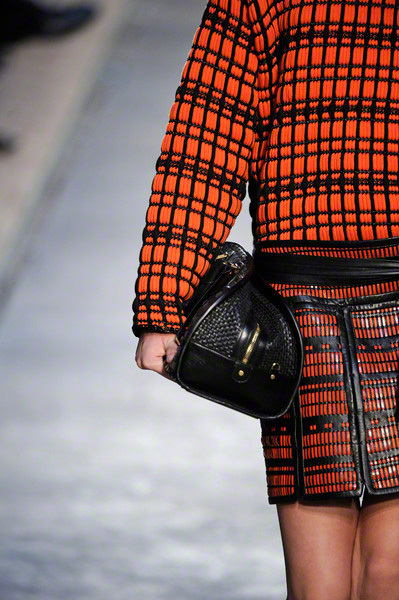 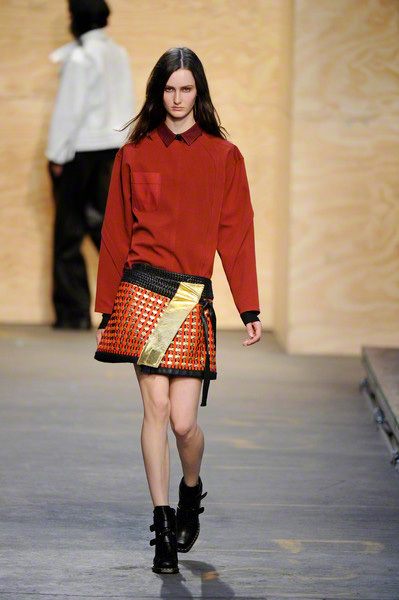 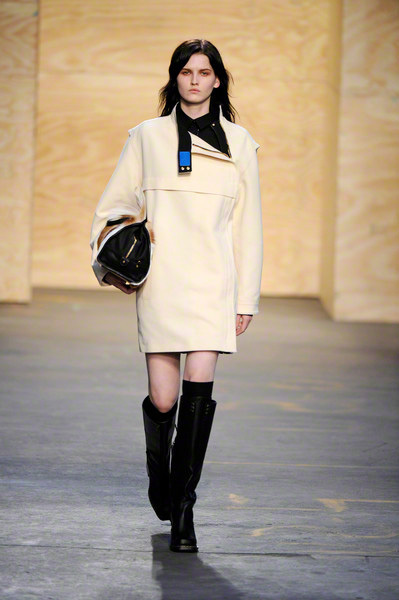 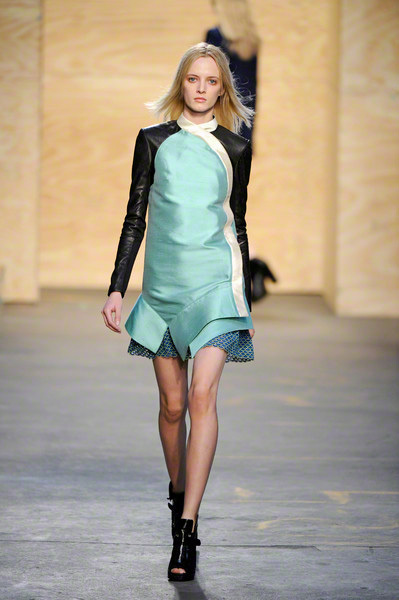 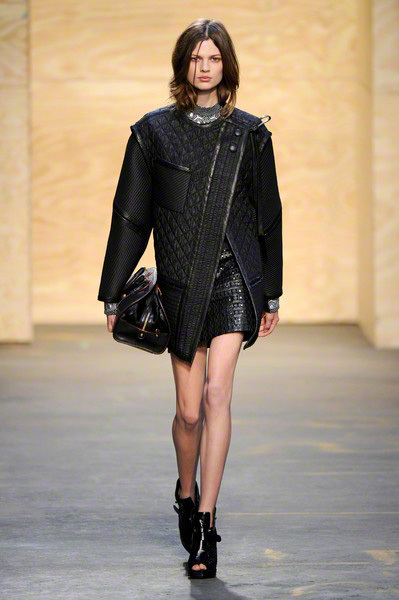 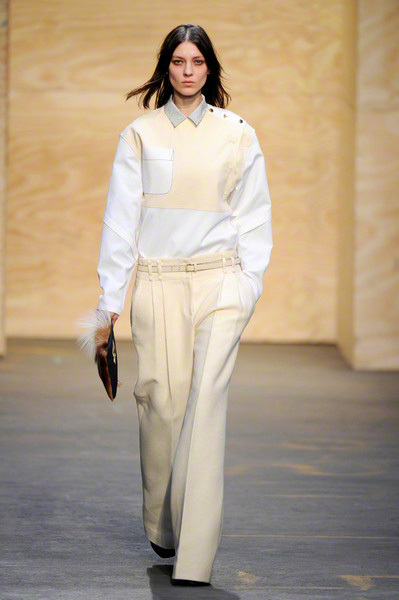 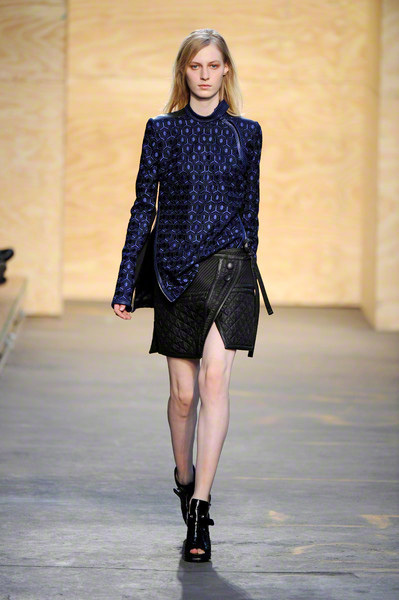 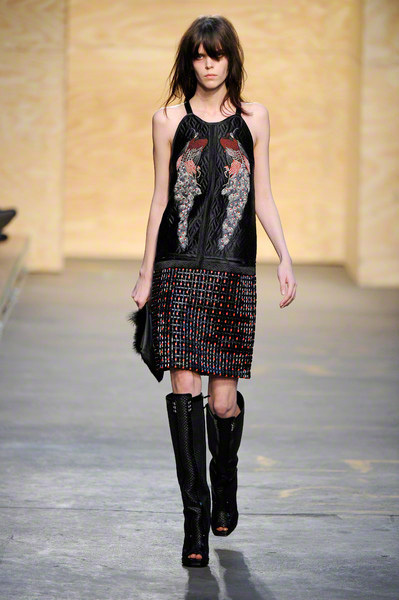 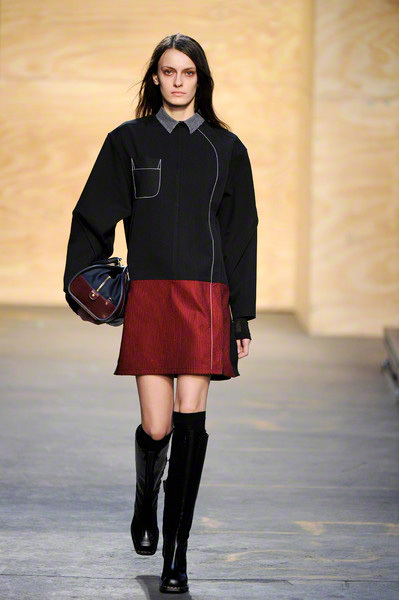 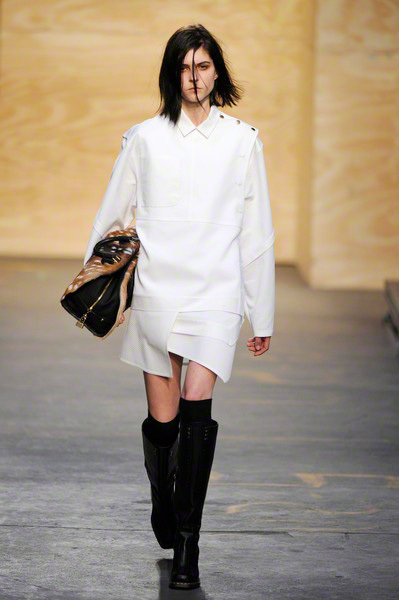 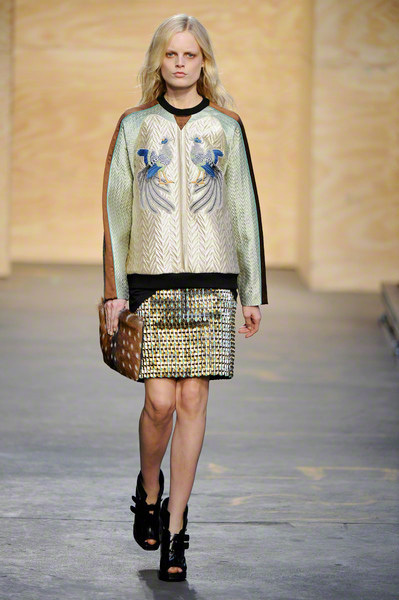 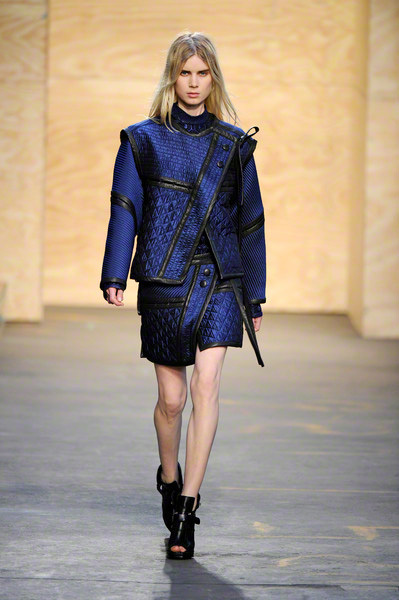 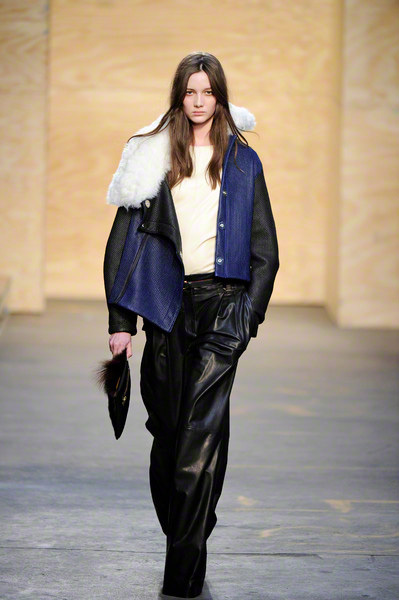 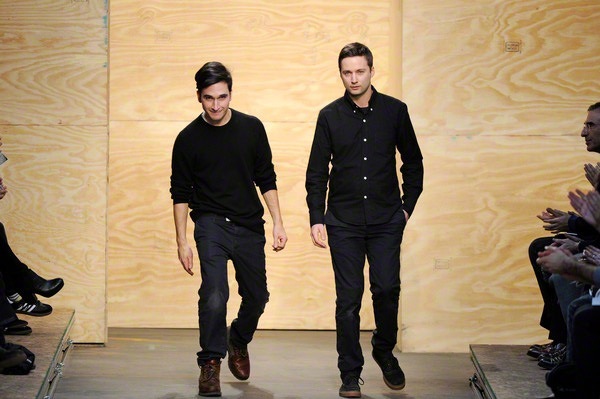 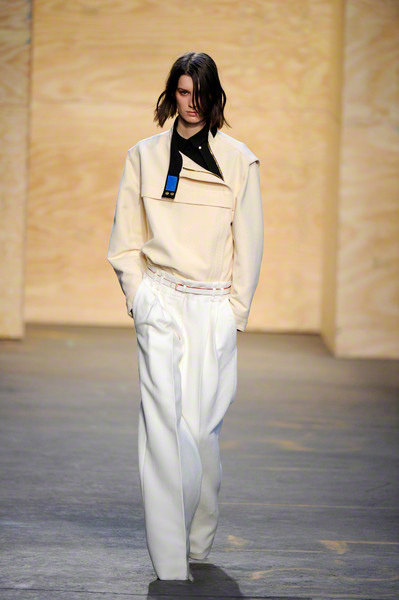 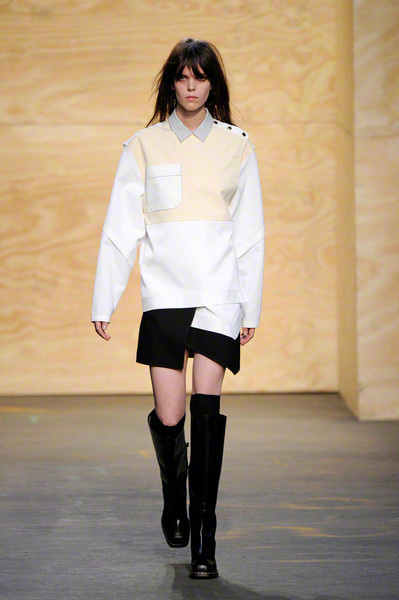 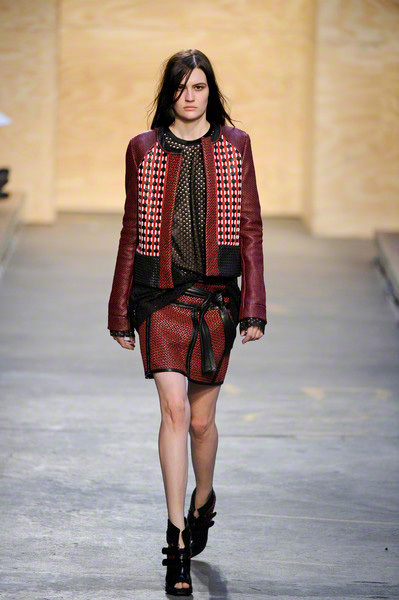 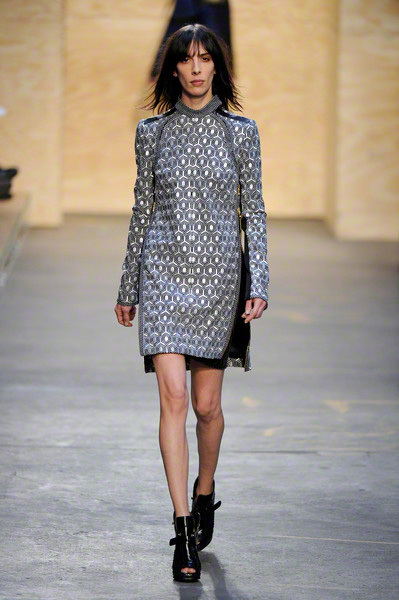 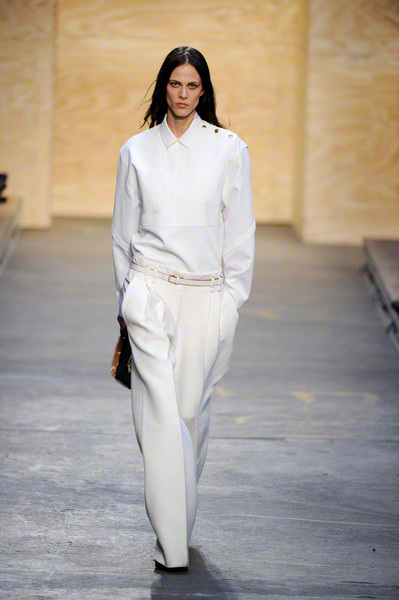 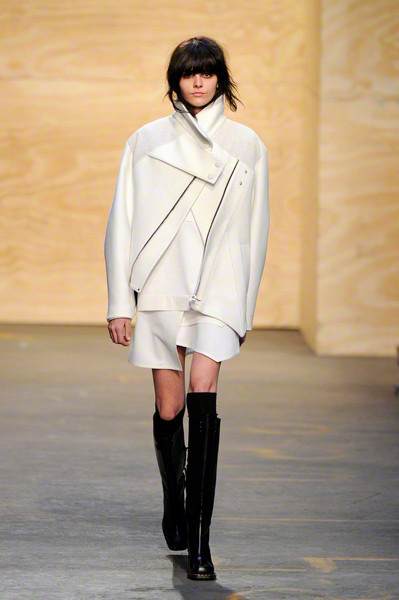 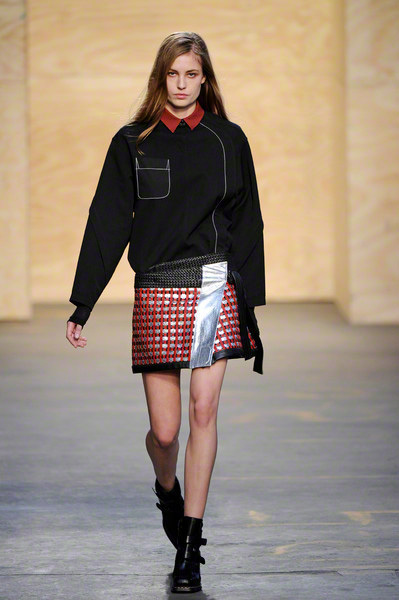 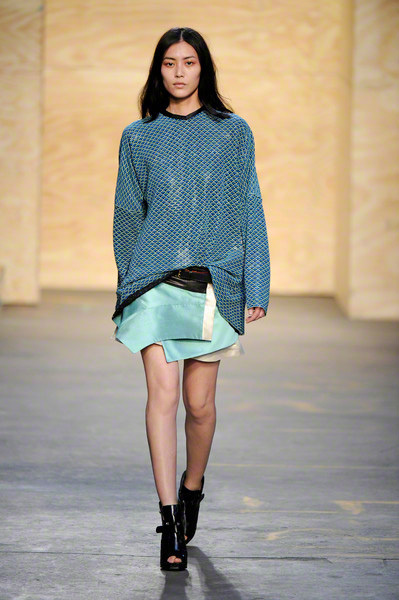 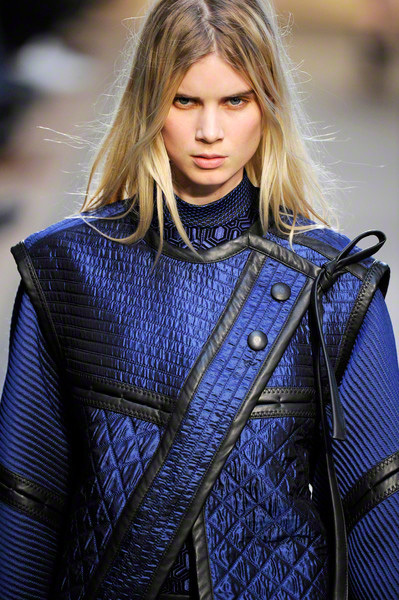 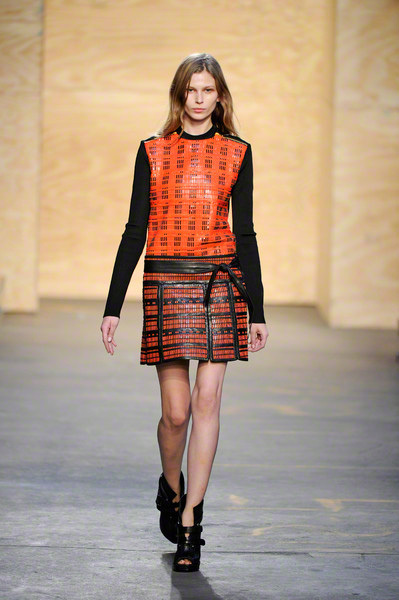 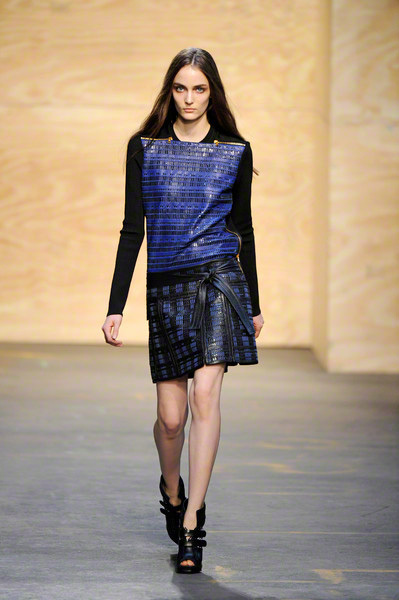 Gone was the retro kitch of last season, it was hello to a more minimalist theme at Proenza Schouler for fall 2012. 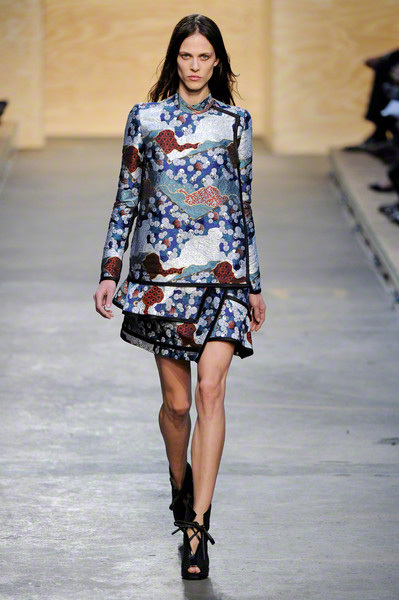 The dus had said they took inspiration from their trip to Peru and Bhutan. 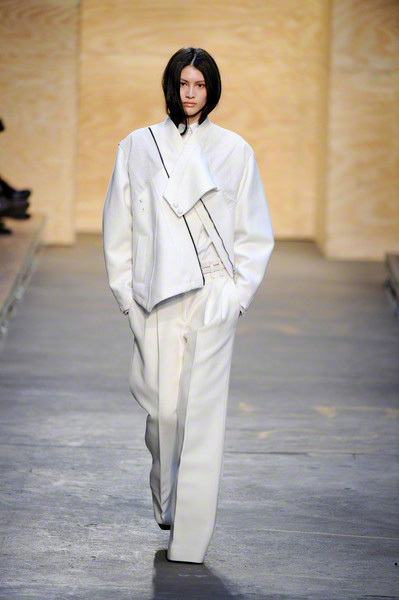 The show opened with crisp white cottons. 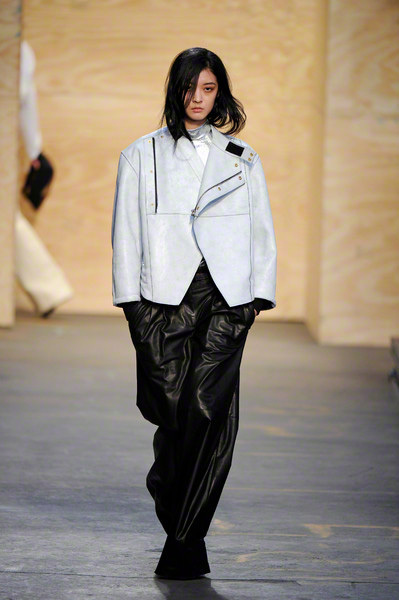 Big boxy jackets, shirtdresses and skirts were flat, precise layers that folded across the body with uneven hems and workwear details. 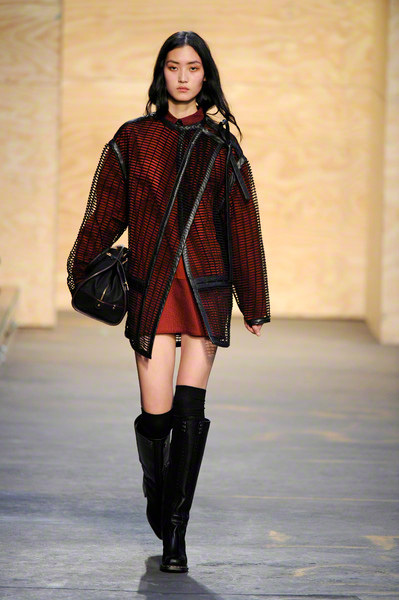 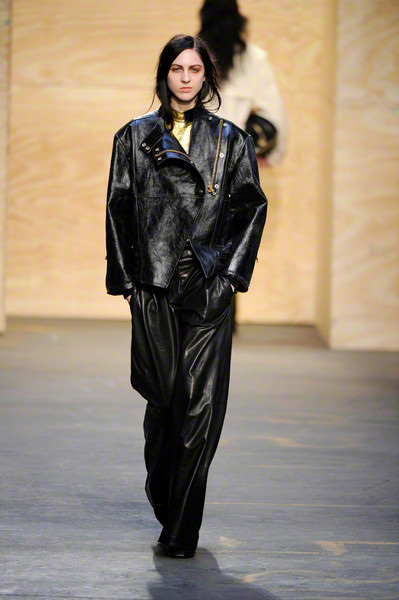 After the extremes, a more understandable part came with natural shapes, including suit jackets and stiff wrap skirts made from intricately woven leather in red, black and gold. 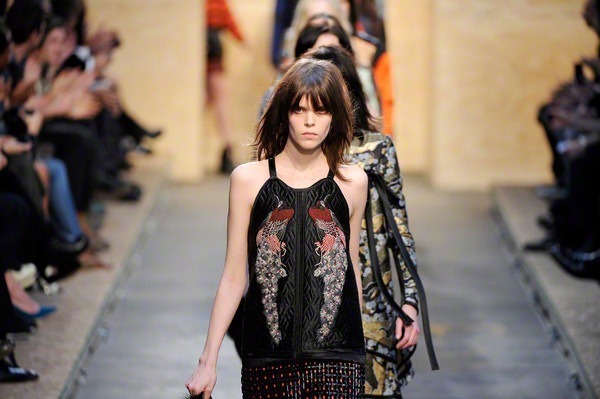 The show ended on a distinct Oriental note. 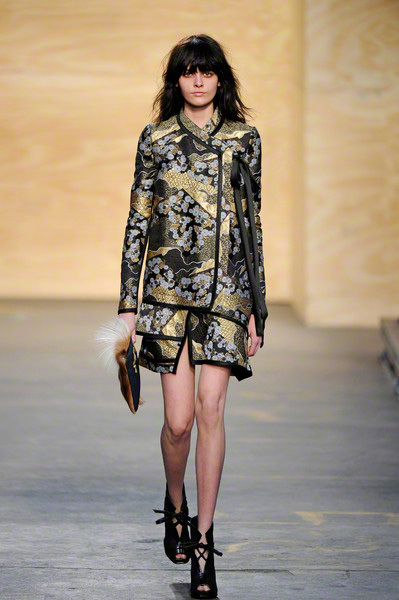 The designers vacationed in Bhutan in October when the country was focused on its king’s wedding. 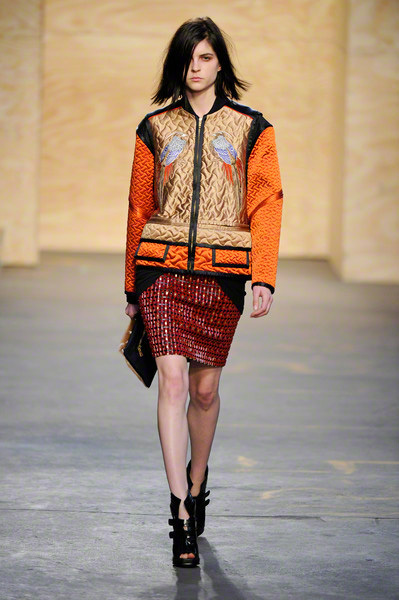 They were taken with the colors and patterns of the traditional national garb, which inspired the elaborate brocades they used for short dresses with stiffened, arched hems, and a sweatshirt done in quilted silk embroidered with two exotic birds.